In its December 8 report, the Committee to Protect Journalists announced that Iran was the worst place in the world for journalists in 2011. According to this report, 179 writers, editors, and photojournalists have been imprisoned around the world this year, an increase of 34 from 2010. Iran is at the top of the list with 42 journalists behind bars; last year it shared the worst offender status with China, both with 34 imprisoned journalists. CPJ notes: “For the first time in more than a decade, China did not lead (or jointly lead) the list of countries incarcerating journalists.” But the numbers in China didn’t decrease; Iran simply surpassed China in incarcerating journalists. But my lack of surprise about Iran’s terrible record on the safety of journalists and freedom of the press comes from personal experience. Over a three-month period in the fall of 2004, security forces arrested a handful of journalists for online journalism. I was among them. We were the first group of Iranian journalists to use the Internet and to blog. For the past three years, I had my own blog in Farsi, I was then the editor at the political desk of Etemad, a reformist newspaper based in Tehran, and had been writing for various websites. The sites are no longer live, but they included Emrooz and Gooyanews. One of the eight charges against me was being anti-state, a common charge thrown at journalists detained in Iran and at everybody who is critical of the state. They leveled such heavy charges against us — “membership in illegal groups,” “spreading lies,” and hilariously, “having non-Islamic relationships with women” — that we thought we were likely to face a long-term prison sentence and that our dreams were ruined. I was placed under severe physical and mental pressure in prison. After two months in solitary confinement, I was so isolated that I broke and agreed to write the confession the security forces wanted me to write, apologizing and repenting for my deeds. For my temporary release from prison, I had to declare my “repentance” and publish it in a public newspaper. The prosecutor kept my three friends in prison as hostages until I wrote and published the letter. I did as I promised and he then released them, one by one. Of course, they had to write their own repentance letters as well. The prosecutor also filmed us both in and out of prison and broadcast our confession on state television. Everything took place under great pressure, including threats to our families and to us. After leaving prison on bail, in 2005 my friend Omid Memarian and I decided to reveal what had happened to the Truth-Finding Commission set up by President Mohammad Khatami and a team from the judiciary to investigate mistreatment of detainees. Once we visited Ayatollah Shahroudi, then the chief of Iran’s judiciary, the security forces sent us a message that we could all be killed in a car accident, just like so many others were. Since their appearances before the commission, Saeed Mortazavi, chief prosecutor of Tehran, has threatened each of these former detainees with lengthy prison sentences and harm to their family members, as punishment for their testimony. Mortazavi continues to issue numerous subpoenas for the journalists without specifying charges. His operatives also harass the journalists by phone on a daily basis. The journalists’ testimonies exposed Mortazavi’s role in authorizing their torture to extract confessions and in compelling them to appear on television to deny their mistreatment while under detention. After my release, I stayed in Iran for two more years waiting to be called back to prison at any minute. During that time, I tried to continue my work as a journalist, but the security forces did not allow it. I would be hired, and soon after, fired when the heads of publications were pressured to let me go. It was a struggle to support myself, and eventually, I left Iran in summer 2006 to go to Paris and then, later that year, New York, where I have been ever since. Practicing journalism in Iran is very difficult. For example, investigative journalism is almost impossible. Perhaps as a result of the danger, there have been a few investigations into the intimidation, imprisonment, and execution of journalists and other dissidents in Iran during the last two decades. 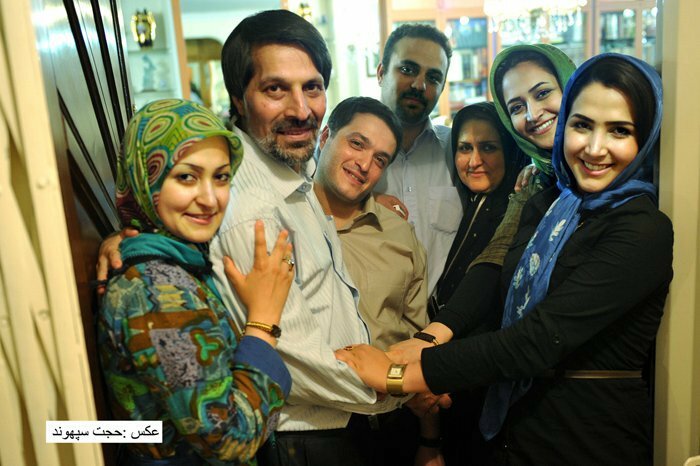 One was carried out by two prominent and award-winning Iranian investigative journalists, Emad Baghi and Akbar Ganji, during the first term (1997-2005) of the reformist president Mohammad Khatemi, which ended in their long-term imprisonment. Furthermore, the plight of Iranian journalists grew even worse after the 2009 post-election crackdown. The list of arrested journalists during the past two years is so long, and there was a new wave of arrests of journalists and activists this past September. I can strongly say that all of my former colleagues are either in prison or temporarily free on bail, banned from journalism, or forced to leave the country. It is really sad and I don’t think the situation will get any better soon. I hope I see Iran some day at the top of the list of free countries that care about truth and dignity. In Iranian culture we have an expression: “It is not wrong for youth to wish big!” Sadly, safety for Iranian reporters is a very big wish. May it come true one day soon. This entry was posted on December 15, 2011 by Roozbeh in Op-Ed and tagged committee to protect journalists, Featured, iranian journalist, iranian journalists.